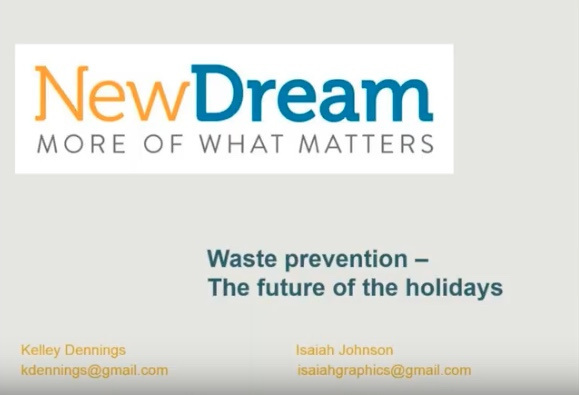 Packed with tools and take-aways, this webinar provides guidance on reducing and preventing waste around the holidays through experiential gift giving. 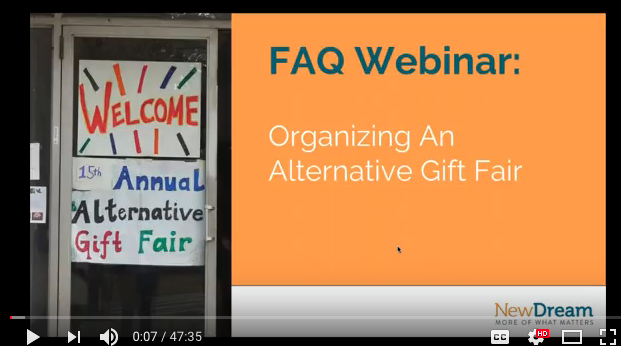 This FAQ Webinar is a follow-up to New Dream’s previous webinar, “How to Organize an Alternative Gift Fair,” and will answer some of your questions about organizing this type of community event. 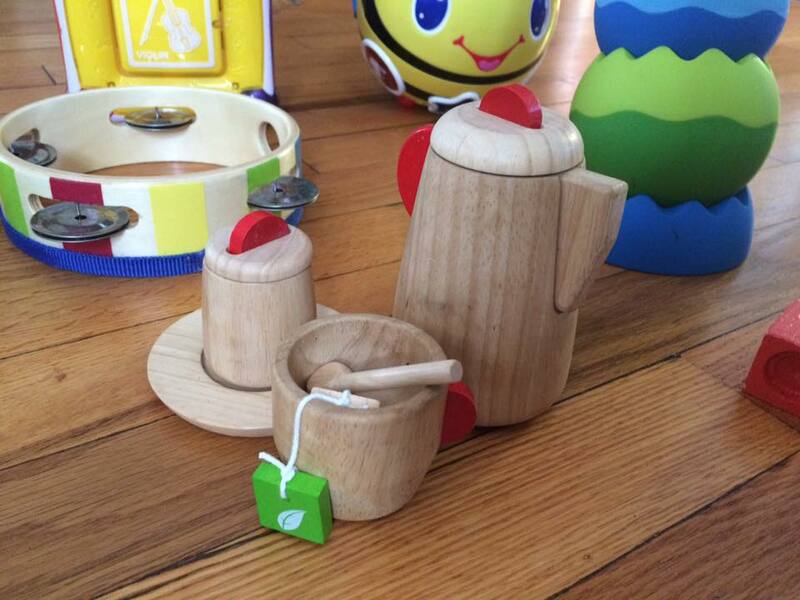 This webinar provides guidance on how to start a toy lending library in your community, with a special look at successful initiatives in Minneapolis and Cleveland. 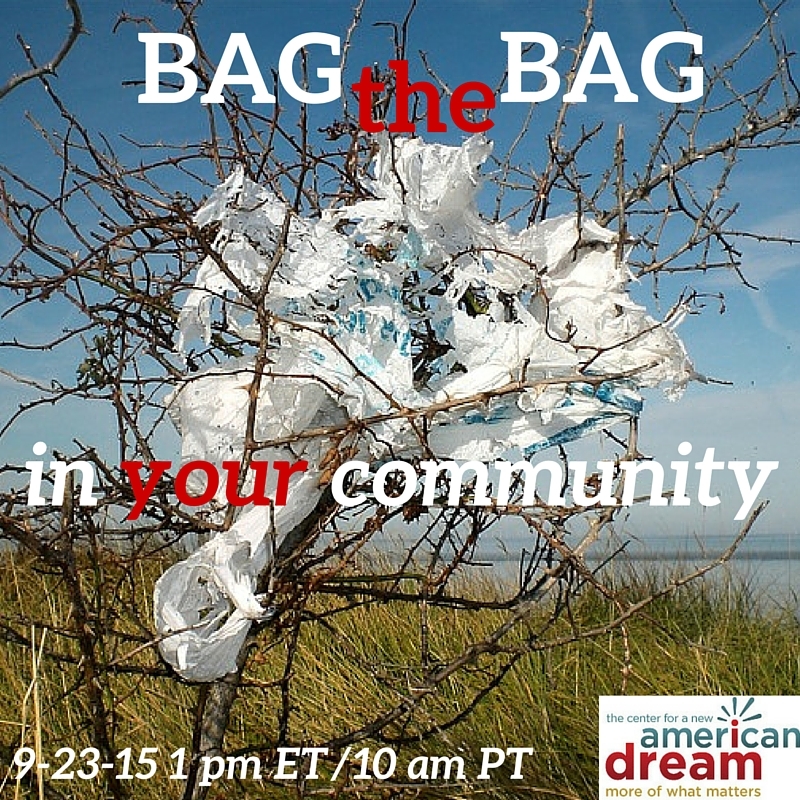 Want to eliminate plastic bags in your community? Watch this webinar recording to learn how to get started, with examples from Washington, D.C. and Chicago. 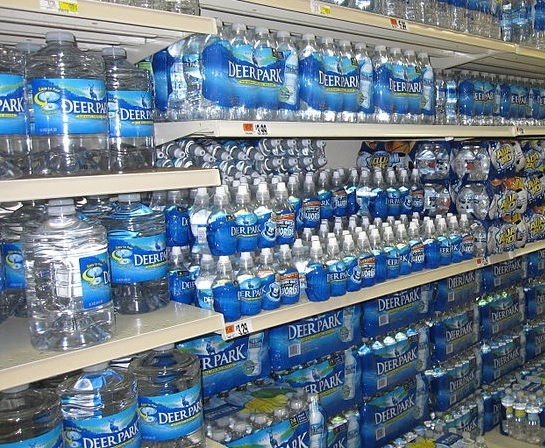 Want your school or community to kick the bottled water habit? Watch this webinar recording to learn how! Pitchfests are fun events where local entrepreneurs connect with everyday investors. Watch this webinar recording to learn more about how to organize a pitchfest in your own community. Want to build community? Tired of the commercialization of the holidays? 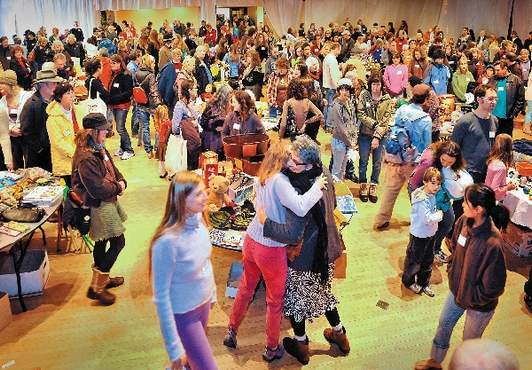 Organize an Alternative Gift Fair in your community. Instead of hunting for a babysitter every time you need to go out, you can rely on trusted mothers and fathers in your own network. 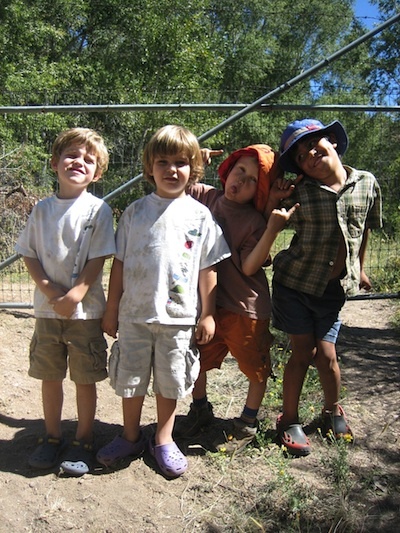 Watch this webinar recording to learn how to start a babysitting co-op in your community. 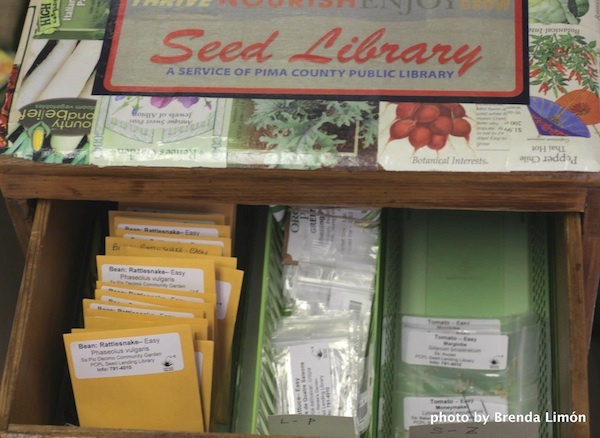 Imagine if your public library didn't just check out books — but also packets of seeds. Watch this webinar recording to learn how to start a seed library! Go solar — together! 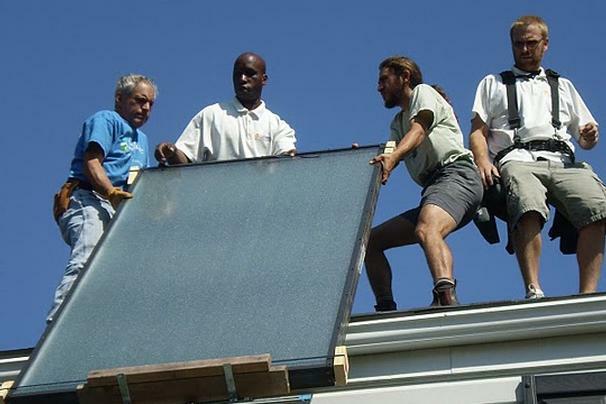 Through community techniques such as cooperatives, bulk purchasing, and group net metering, solar energy can be more affordable for everyone. 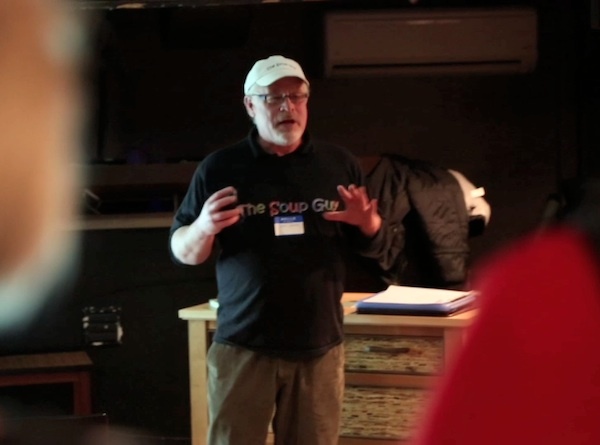 In a time bank, a group of people agree to trade hours instead of money. 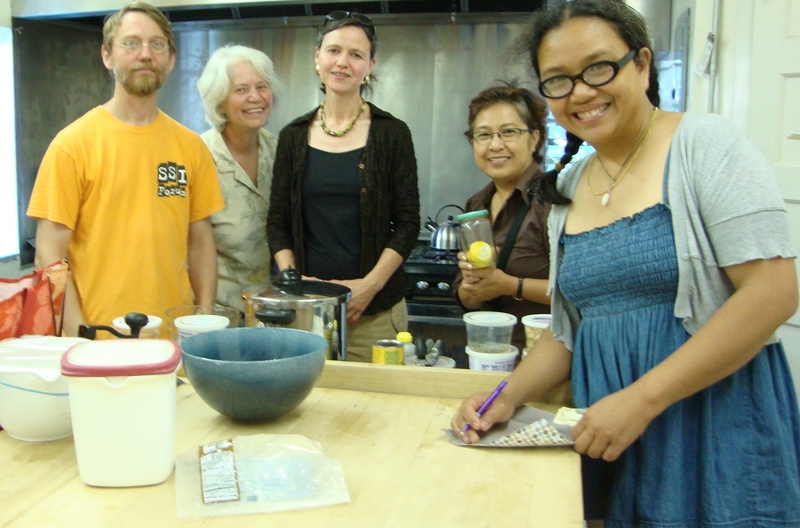 In this webinar, founders of the Community Connections TimeBank, Arroyo Time Bank, and Bay Area Community Exchange share how they got their time banks off the ground. 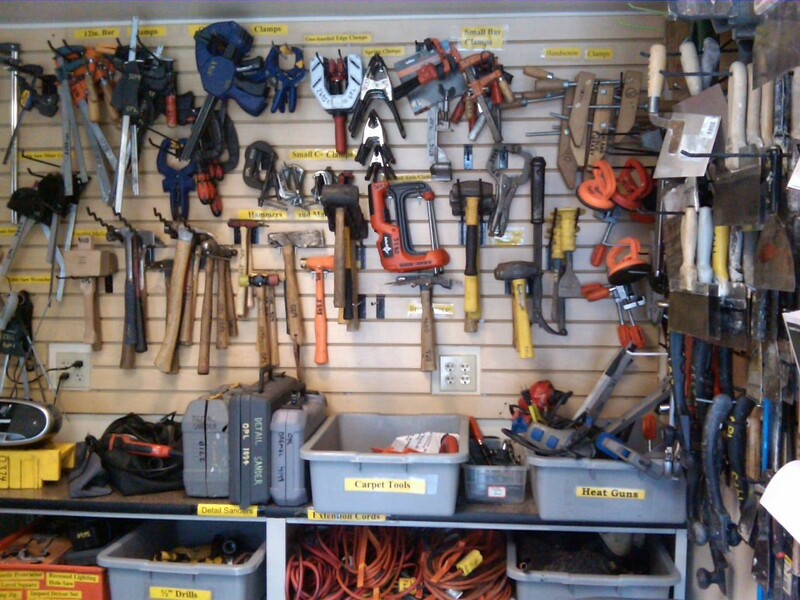 Want to start a tool library in your town? The founders of tool libraries in Berkeley, Oakland, Portland, and Philadelphia offer advice on how to do just that.